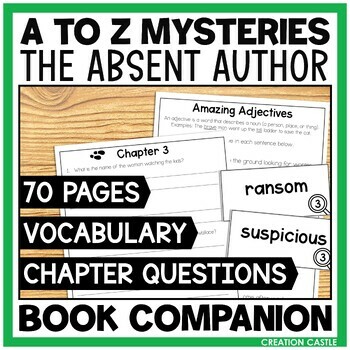 Ron Roy's A-Z Mysteries are fun and get kids excited about reading! This comprehensive packet is great for using with guided reading groups or for students to have independent activities as they read the book on their own. 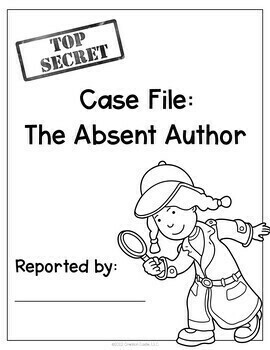 STUDENT CASE FILE: This 20 page packet is intended for students to keep track of the characters and follow how the thought process of finding the suspect. At the beginning, there is a predictions page that the students will use at the beginning, in the middle, and the end of their reading adventure. The following pages break down the characters. There are sections for detectives, victims, and suspects. 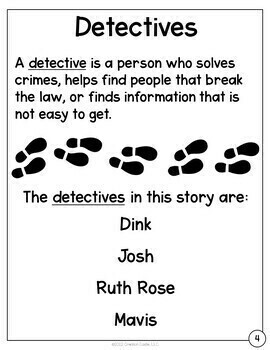 These pages help the students sort out the differences in the characters and monitor the clues. At the end of their case file, there are evidence pages. These are already printed out similar to what is in the book. 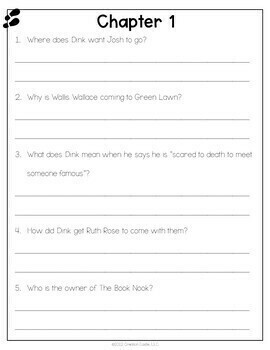 CHAPTER QUESTIONS: Each chapter has their own set of questions. There are 2-5 questions per chapter, the amount depends on how much the questions entail. The questions are open-ended, true/false, fact/opinion, and factual recall. VOCABULARY: My packet splits the chapters into three sections - Chapters 1-3, Chapters 4-6, and Chapters 7-10. Each section has a set of ten vocabulary words. These words are either uncommon to the students, difficult to spell, or specifically mystery related. There is an additional dictionary skills page for each section. ACTIVITIES/WORKSHEETS: There are seven additional activities that touch on different parts of the story. These activities have the students journal as a character, research, use map skills, write a letter, write with a prompt, explore adjectives and alliteration. ANSWER KEYS: Answer keys are included for the Chapter Questions and the Adjectives Worksheet.